In this tense work is done in time to come. In this tense work is done in future time. Continuity or completion of activity is not mentioned nor considered. The action is to be in the time to come. So words relating to future time like tomorrow, next day, ensuing month or coming Monday etc are used in this tense. I shall go to Delhi. John will start his factory. Boys will not play a match. In Positive sentences helping verbs 'shall or will' with the main verb is used. First person. In affirmative sentence, In case of First person singular and plural ‘Shall’ with first form of verb is used. 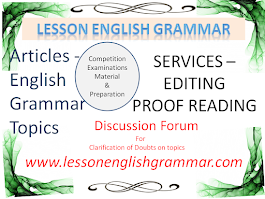 For Second & third Person singular and plural ‘will’ with first form of verb is used. His brother will appear in the examination next year. I shall pay all my debts within two months. You will go to your office in the morning. In negative sentences with ‘shall or will’ not (never) is used before first form of verb. I shall not waste my time. She will not cook food. You will not join us. In Interrogative sentences shall or will is used before Subject. 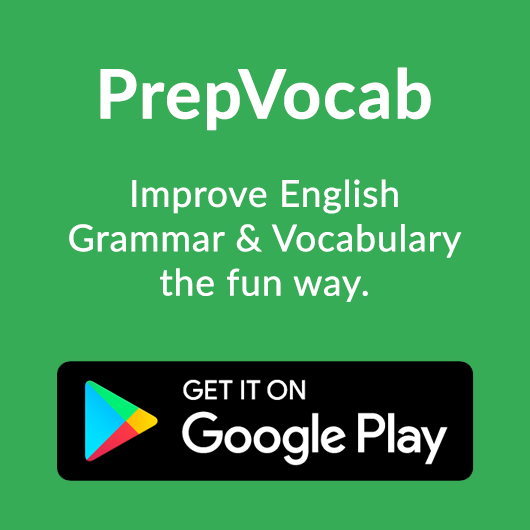 First form of verb is used. Words like 'never or 'ever' is also used. Shall we travel by bus? Will you fetch me a glass of water? Will they go out for a morning walk? In case of Interrogative sentences starting with words 'wh' , the sentence starts with the word 'wh' followed by will or shall , subject and first form of verb . The sentence ends with a sign of interrogation mark. Examples will clarify the point. Which boy will lead the team? Where will you go during vacation? When will the guests arrive? How will you solve this problem? Why will she not come here? Whom will the team elect captain? What will you pay for this? If it rains I shall not go to office tomorrow. If you permit I shall take your brother along with me. 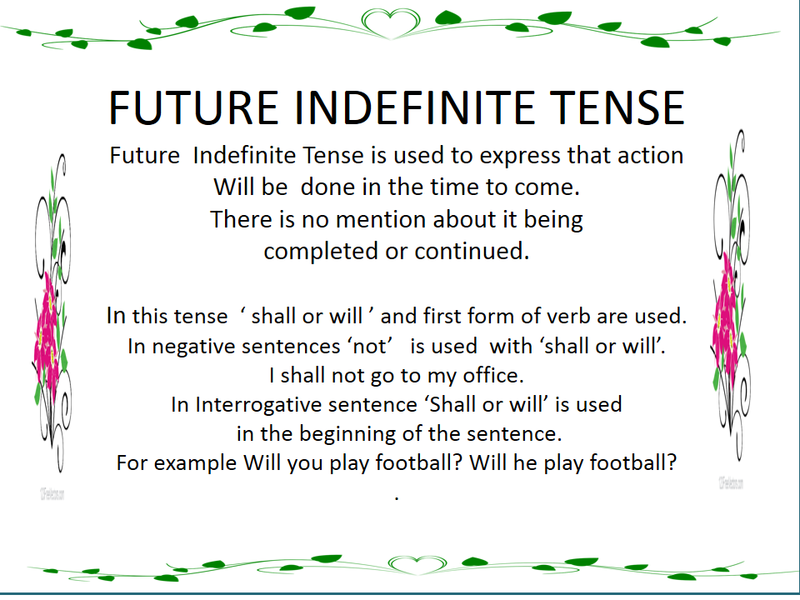 Fill in the blanks using appropriate form of given verb in Future Indefinite Tense. 1. Our guests........ ......... (arrive) here tomorrow. 2. The chairman ....... ......... ( preside) over the meeting. 3. The teacher ......... ........ (punish) those students. 4. I .......... ....... (attend) the office tomorrow. 5. They ........ ....... (visit) you next month. 1. It ........ not ...........(rain) today. 2. Girls ......... not ........ (sing) songs. 3. You ......... not ......... (pay) the bill. 4. I ........ never ........ (tell) a lie. 5. They ........ not ....... (accompany) you. 1. ......... you .......... (teach) us English? 2. .......... we ........... ( go ) out for a picnic on Sunday? 3. ......... she ........(deliver) a lecture tomorrow? 4. ......... the boys .......... (play) a match the next Sunday? 5. ......... you .......... (lend) me your book? 1. How ......... you ......... ( travel) tomorrow? 2. When ......... you ........... (set) on your journey? 3. Where .......... you ......... (stay) at night? 4. Who ......... .......... (take) decision in the case? 5. Whom ......... you .......... (send) to bring fruit? 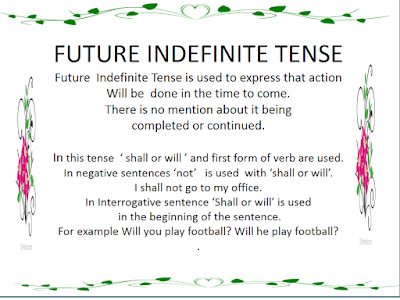 Fill in the blanks in following conditional sentences using appropriate form of given verb in Future Indefinite Tense as deem fit. 1. If the sun.......... (shine), our clothes....... (go) dry. 2. If you......... ( work ) hard, you ......... certainly...... (get through). 3. I .........( go) only when you...... (return). 4. If you.........( stay) a little more, we .........(dine) together. 5. I ........( visit) you if I........ (return) in time in the evening. 1. Who ....... (help) you if you .......(not help) others ? 2. Where you.......( stay ) when you .......(visit) that city? 3. Whose book you.........( borrow) if you .......( need ) one? 4. Why I .........( borrow) from you when I ........(have) my book ? 5. How you........( come )out if you ......(fall) into this well? A true friend ......... always ........... (stand) by you during the time of your difficulties. While other people .......... ........ (vilify) or (ridicule) you in your absence, he ......... ........ (avoid) to criticize you. He ........ not ........ ( blame) you for nothing but instead he ......... .......... (stand) up in your defence. He .......... ........ (support) your all actions through thick and thin. He .......... ........ (come) to your rescue during days of your calamities. He .......... ......... (try) to share your comforts and woes equally. He ....... ....... (try) to soothe when you feel ruffled. 1. Our guests will arrive here tomorrow. 2. The chairman will preside over the meeting. 3. The teacher will punish those students. 4. I shall attend the office tomorrow. 5. They will visit you next month. 1. It will not rain today. 2. Girls will not sing songs. 3. You will not pay the bill. 4. I shall never tell a lie. 5. They will not accompany you. 1. Will you teach us English? 2. Shall we go out for a picnic on Sunday? 3. Will she deliver a lecture tomorrow? 4. Will the boys play a match the next Sunday? 5. Will you lend me your book? 1. How will you travel tomorrow? 2. When will you set on your journey? 3. Where will you stay at night? 4. Who will take decision in the case? 5. Whom will you send to bring fruit? 1. If the sun shines, our clothes will go dry. 2. If you work hard, you will certainly get through. 3. I shall go only when you return. 4. If you stay a little more, we shall dine together. 5. I shall visit you if I return in time in the evening. 1. Who will help you if you do not help others ? 2. Where will you stay when you visit that city? 3. Whose book will you borrow if you need one? 4. Why shall I borrow from you when I have my book ? 5. How will you come out if you fall into this well? A true friend will always stand by you during the time of your difficulties. While other people will vilify or ridicule you in your absence, he will avoid to criticize you. He will not blame you for nothing but instead he will stand up in your defence. He will support your all actions through thick and thin. He will come to your rescue during days of your calamities. He will try to share your comforts and woes equally. He will try to soothe when you feel ruffled.